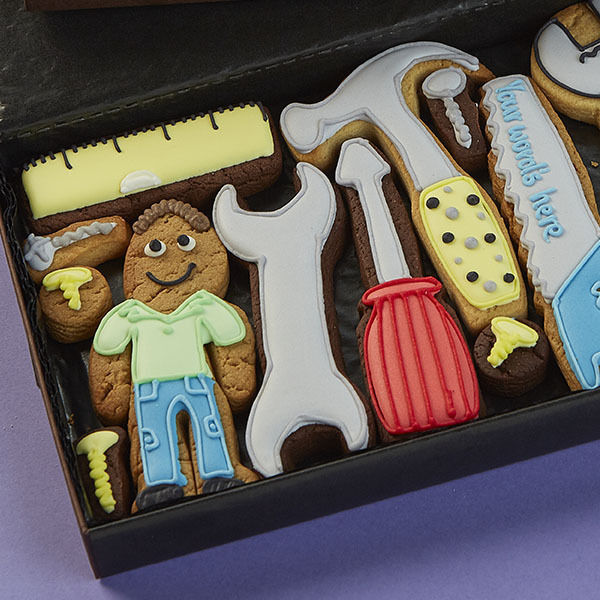 These hand decorated cookies are presented in our Medium Toolbox Cookie Gift Box. 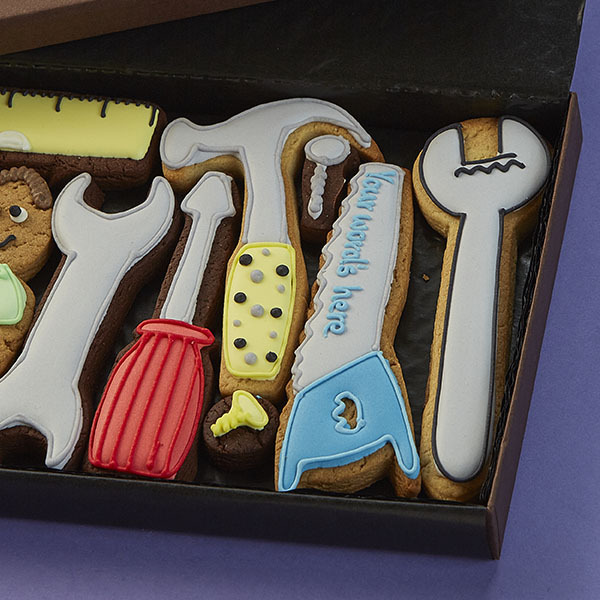 The Saw cookie can be personalised with up to 3 words. 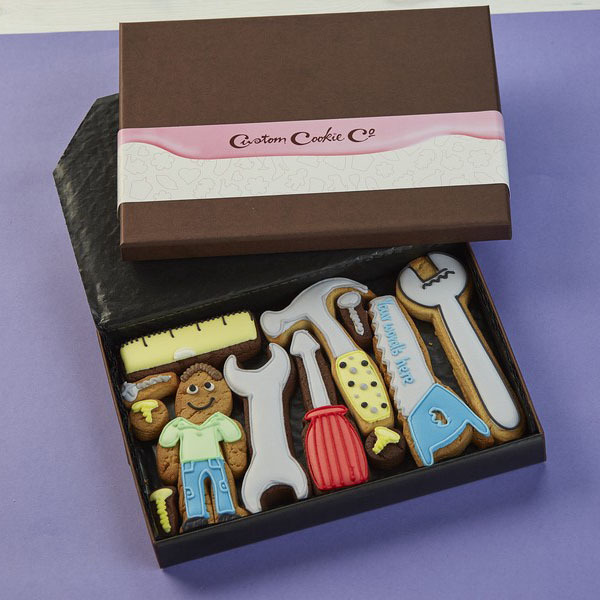 Gift Box also contains a ribboned gift tag bearing your special message. 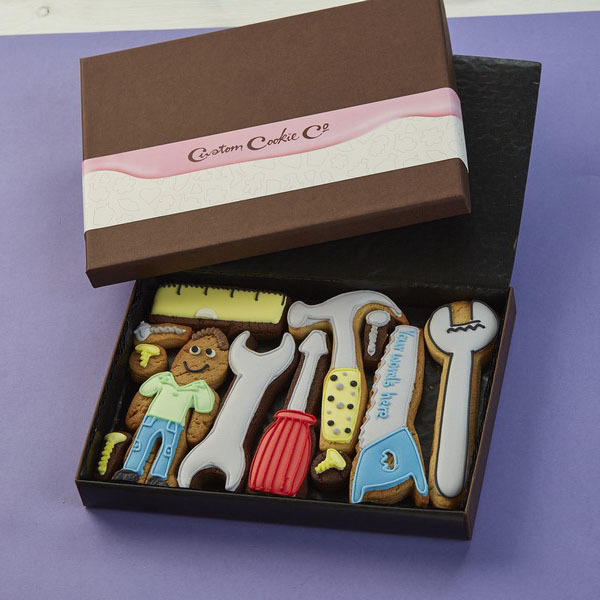 Give this box of cookies to the handiest person you know!